Hi! My name is Jessica. You may recognize me from my post on the E.S.P. Dress! How long have you worked at Nancy’s? I have worked at Nancy’s for a collective 5 years. I started here when I was a junior in college, left about two years after graduating, and returned in 2014. How long have you been sewing? I officially learned to sew a little over 18 years ago! Do you have a special focus? At present I mostly make modern quilts, but will always have a special place in my heart for making clothes. What was your first sewing project? My first sewing project was a pair of pinstriped pants. I was 11 and had desperately wanted a pair for what felt like ages. When I couldn’t find any in the ready-to-wear market, my mother suggested teaching me to make my own pair. It was pretty advanced for a first sewing project, but I learned a lot and took to sewing fairly intuitively. What is your most recently completed project? 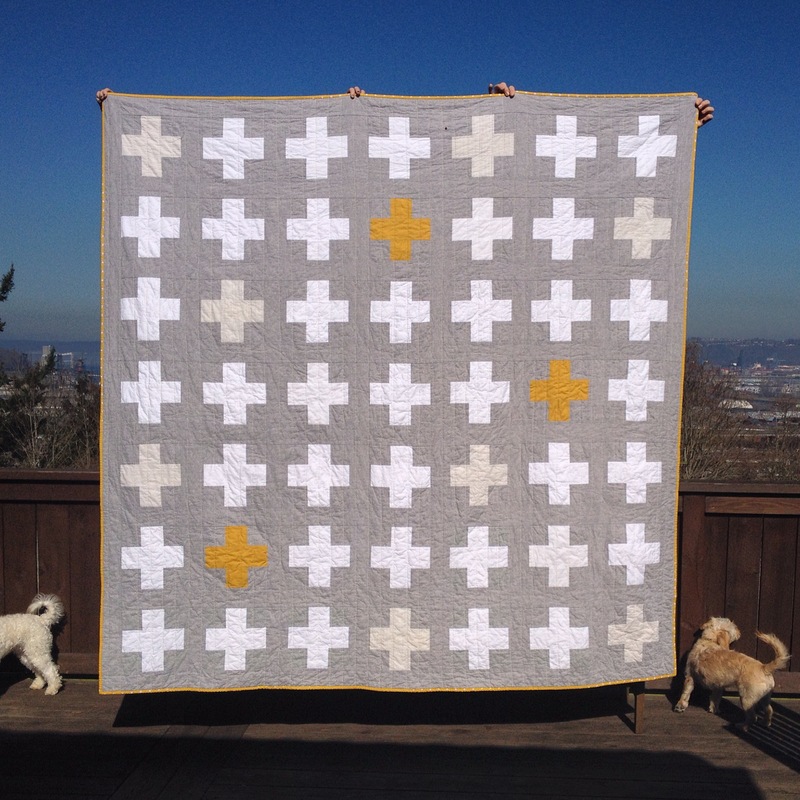 In my quilting, I completed a queen size quilt for some friends that recently bought a house. 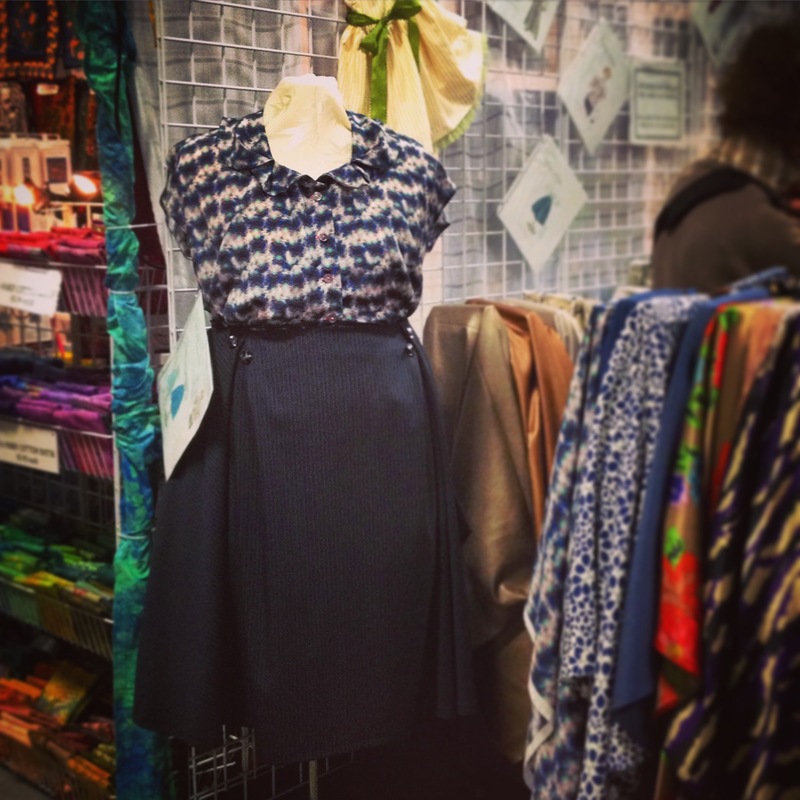 In garment construction, I most recently completed a blouse and skirt using patterns from Decades of Style. Do you have a most memorable or favorite project? My most memorable sewing project is probably the costume I made for my high school mascot when I was 16. It was not as popular as I had hoped, but I loved how it turned out and was so proud of it. Sadly, I do not have a picture to share! 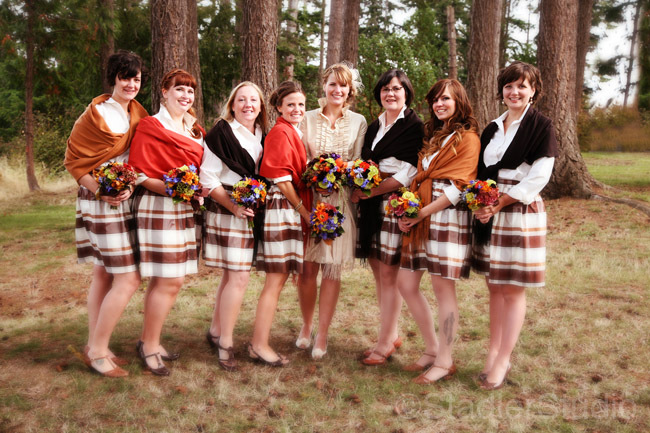 My most favorite clothing project was making my sister’s wedding dress and skirts for the seven bridal attendants. 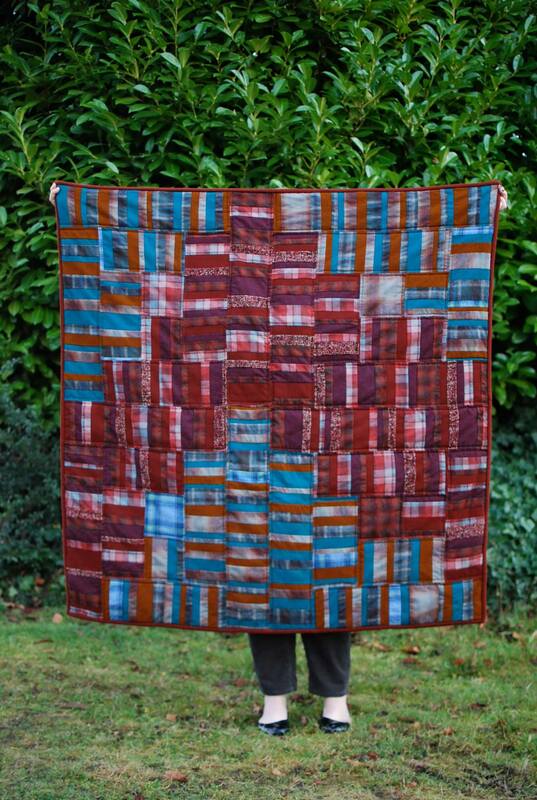 I think my most favorite quilting project to date is the modified log cabin quilt I made from plaid and solid wools. What do you love most about Nancy’s? I love so much about Nancy’s: the creativity that flows through the store is incredibly inspiring. Working with individual customers on finding just the right fabric, ribbon, or button is always a fun exercise, especially when the results are better than anticipated! There is a lot of opportunity to share my own expertise and even more opportunity to learn from my coworkers! Nancy’s is so special to me because I work with some of the most wonderfully talented and supportive individuals I’ve ever known. We hope you’ve enjoyed the inaugural ‘get to know’! 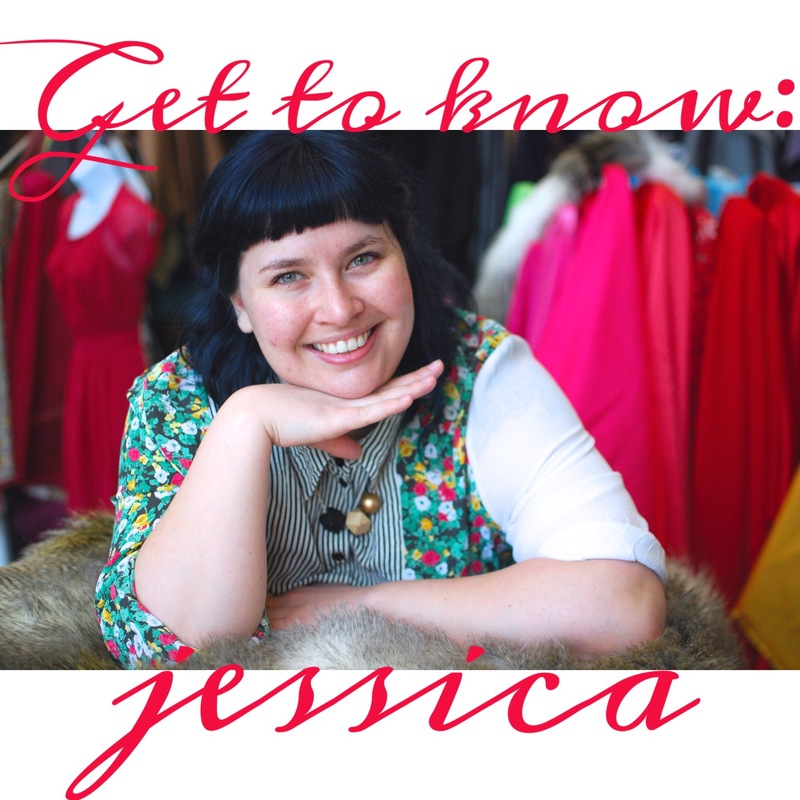 Any questions for Jessica? Leave them in the comments! Photographs in this post are courtesy of Nancy’s Sewing Basket employee Jessica, except photograph of bridal party, which is copyright Stadler Studio Photography. This entry was posted in NSB Interviews and tagged Decades of Style patterns, get to know Nancy's employees, interview, modern quilts. Bookmark the permalink.